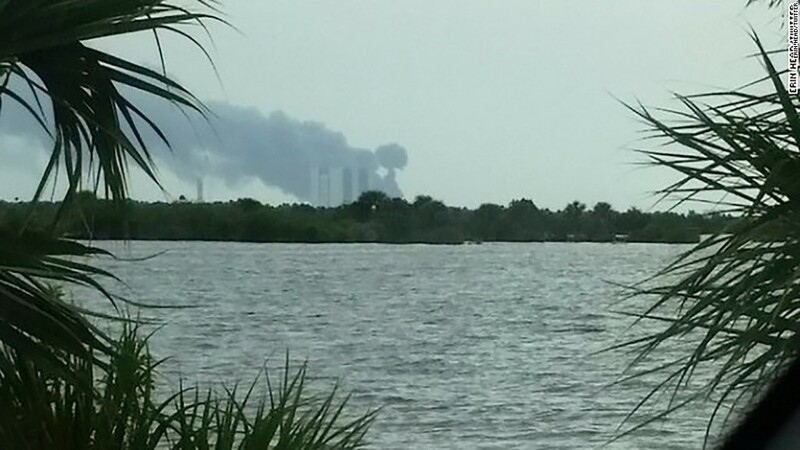 When a SpaceX rocket exploded on Thursday, one casualty was Facebook. The rocket contained the AMOS-6 Satellite, which Facebook was hoping to use to beam the internet to millions of people in remote parts of the world. The explosion, which caused no injuries, came just shy of one year after Facebook (FB) announced it was partnering with French satellite firm Eutelsat Communications. Facebook and Eutelsat agreed to pay $95 million over as many as five years to Israeli company Spacecom, which owned the satellite. It was set to be launched into orbit on Saturday. The explosion occurred during a test firing. The potential financial toll of the mishap was not immediately clear. Facebook CEO Mark Zuckerberg addressed the incident in a post, noting he was "deeply disappointed" by the news. It's uncertain if the company will attempt another satellite launch soon. However, Zuckerberg emphasized that the company's Internet.org plans will not come to a halt. He said Facebook has already developed other technologies, like a fleet of solar-powered aircraft called Aquila, to bring the internet to more regions. The planes will beam broadband across areas about 60 miles wide and stay in the air for up to 90 days at a time. In July, the company said it completed its first full-scale flight test. "We remain committed to our mission of connecting everyone, and we will keep working until everyone has the opportunities this satellite would have provided," said Zuckerberg, who is currently in Africa.